Today, I am going to be doing another tutorial! I haven't done one of these in a while so, it's kind of nice to be doing one again. I am currently doing a series of smokey eyes called "rainbow smoke" on my Instagram (which you can check out on the side). I am basically doing smokey eyes but of different colors and adding an element of uniqueness to each one. While I have not posted anything about this here, I will be doing a summary post on it once I finish it (which may take a while...). Anyways, here's the final look! Pictorial, full product list, and more after the jump! Add a base. Can be either a corresponding color, black, or white for bright colors. Softly blend a eyeshadow color two shades darker than your skin to your crease. Pat a medium toned eyeshadow to the lid. Blend after applying. This should not be the darkest or lightest color you will be using. 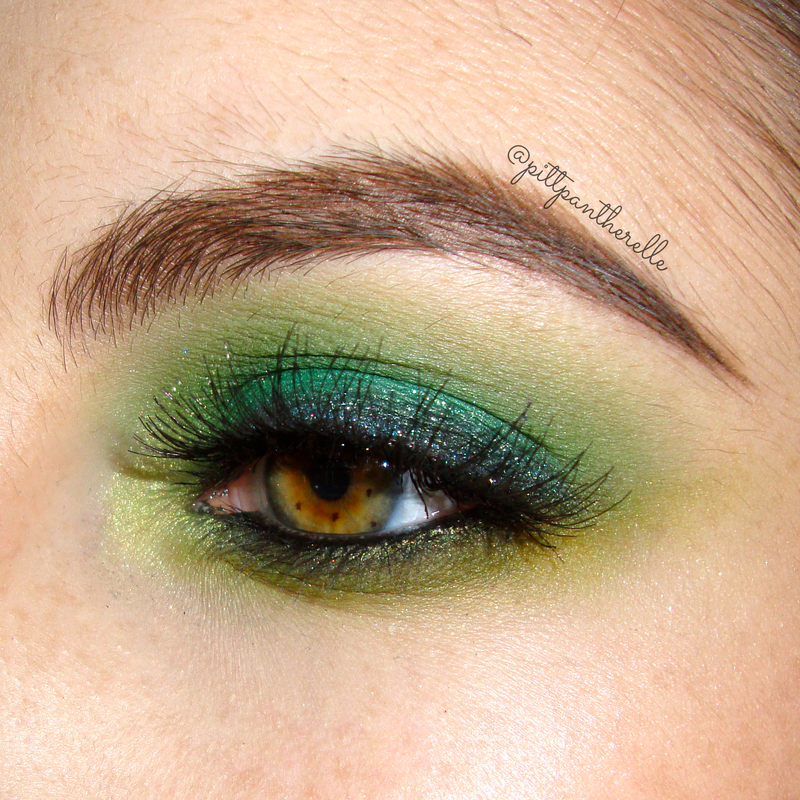 Blend an eyeshadow in your crease that is slightly lighter than the one you applied to your lid. Blend this eyeshadow on the edge of the lid color. Blend the lightest eyeshadow color on the edge of the one we previously blended. This eyeshadow color should be lighter than the one we previously used but not our browbone color. Dot a smudgy black kohl on the lash line. Quickly blend out the kohl just applied with your darkest color. This color we use to smudge should be the darkest eyeshadow we use. Line your waterline with the same kohl we used. Blend the lightest color (the one we used earlier) on the lower lash line. This will make for a very smoked out lower lash line. You will see that I chose to change the color for the lower lash line. You may also do this but I would suggest using the same colors you used on your lid. Smoosh some kohl in between your lashes and smudge with our darkest eyeshadow (the one we used earlier). Blend the end of the darkest color with the lid color we used. Then blend out with the brush used to apply the lightest color to the lower lash line. Add mascara and false lashes and DONE!!! I hope you enjoyed! This took me a bit of time to put together because the videos did NOT want to import to my laptop and I am... lazy.